Apple support in South Africa for your Apple SME or Apple Enterprise is critically important. 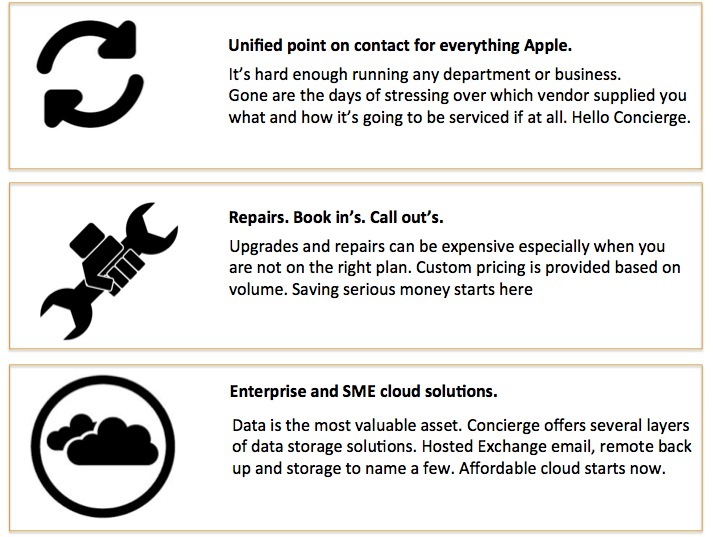 ZA Support provides expert Apple support, Apple repair, Apple SLA /maintenance solutions for your business. 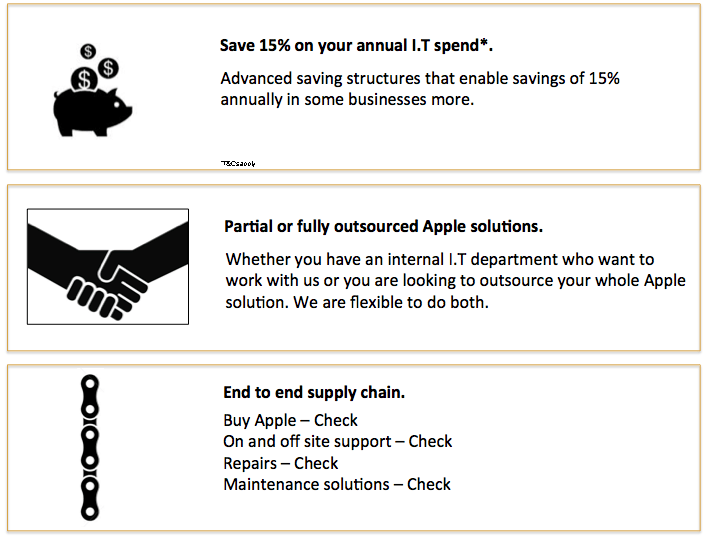 With the understanding that I.T is a central part to your business success, ZA Support has adopted a model of combining business objectives with Apple technical support. This is to ensure regardless of if there is an internal technology department onsite the objectives of the team are met at all times. As we have partnered with our clients to build their businesses we look forward in being able to assist you.